epithets that are associated with him or her. Thus, Athene is ‘bright-eyed,’ Odysseus is ‘much-devising,’ and so on. Open up your copy of the Odyssey at the beginning of Book IV, and list the epithets given to Menelaus within the book. You will find that he is variously described as ‘glorious Menelaus,’ ‘divinely-nourished Menelaus,’ ‘fair-haired Menelaus,’ and as ‘Menelaus, son of Atreus.’ Combinations of these epithets are sometimes used, and ‘leader of hosts’ is sometimes added on at the end. The choice of epithet does not depend on the narrative context, but on metrical expediency. If you have access to a Greek text, write down and scan the Greek for each of the above epithets. You will find that they are all metrically different. The Odyssey is made up of dactylic hexameters. What this means is that each line is made up of six feet. Each of the first four feet may be either a spondee (two long syllables) or a dactyl (long-short-short). The fifth foot must be a dactyl, and the final foot must be either a spondee, or a trochee (long-short or long-long). The formulaic epithets allow the poet great freedom in the first few feet of a line that contains a significant noun, whether it be the name of a person or place, or even the sea or a house or a ship, since any space left over within that hexameter can be filled by a metrically appropriate epithet or combination of epithets, without any creative effort on the part of the poet. Furthermore, the use of formulae allows the poet time to consider the composition of the next line. Similar benefits are conveyed by the frequent repetition of entire lines, and indeed of complete speeches. One of the more extreme examples of this within the Homeric corpus is Agamemnon’s speech in Iliad IX, and its verbatim repetition by the embassy to Achilles. What is a type-scene? Hospitality type-scenes appear frequently within the Odyssey. In addition to a large repertoire of formulaic expressions and epithets, the oral poet is able to utilize stock ‘type-scenes.’ While the details vary, these scenes, which tend to revolve around actions that are central in the society of the epic, contain a consistent sequence of actions. Anyone who has read the Iliad will have noticed the great similarities between different arming and battle-scenes. In the Odyssey, the most prominent kind of type-scene is the hospitality scene, in which the guest enters the presence of the host, is given a seat, fed, and then asked to reveal his name, and tell the host of his purpose and his reasons for being in that land. After the tale has been told, the guest is provided with bedding. In the morning, the guest, should he wish to leave, is provided with gifts. 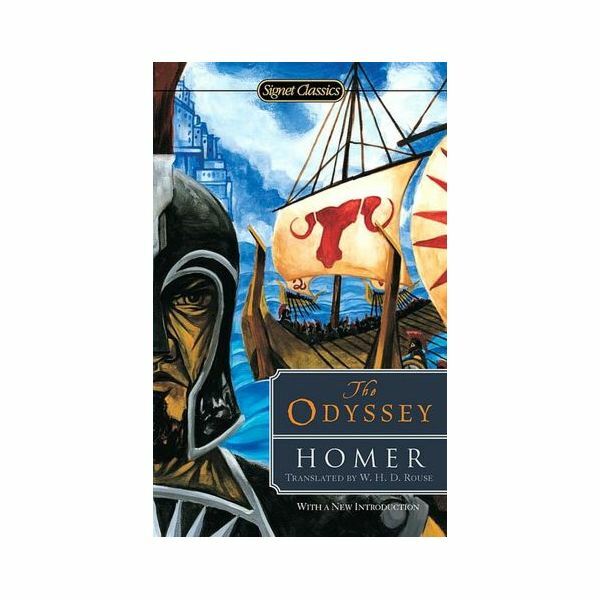 Examples of this can be found in the first (Athene in Ithaka), third (Telemachus at Pylos), fourth (Telemachus at Sparta), seventh through to the thirteenth (Odysseus in Phaeacia) and fourteenth (Odysseus in the hut of Eumenes) books of the Odyssey. Much of the first half of the poem is thus given structure through these extended hospitality-scenes, providing a setting for the long stories told both by the two travellers, and by their hosts, in particular, Nestor and Menelaus. There are also many examples of non-standard hospitality scenes, featuring a bad host: Circe, the suitors, Polyphemus, and so on. In these episodes, the contrast with the standard hospitality type-scene shows the wickedness of the host. Shelmerdine, C., 'The Pattern of Guest-Welcome in the Odyssey' CJ 65 (1969) 124f. Gainsford, P. (2003), 'Formal Analysis of Recognition Scenes in the Odyssey' JHS 123: 41-49 – more accessible than the title suggests. Forsyth, N., 'The Allurement Scene: a Typical Pattern in Greek Oral Epic' Classical Antiquity 12 (1979) 101 – interesting not least because it draws upon both the Homeric Hymns and the Iliad in addition to the Odyssey for its examples. Fenik, B., Typical Battle Scenes in the Iliad, Steiner, Wiesbaden 1968 – Not really necessary reading for a student of the Odyssey, but as the most exhaustive analysis of any one group of type-scenes, it’s worth a quick flick through if time allows.